According to the National Association of City Transportation Officials, surface streets comprise more than 80 percent of all public spaces in cities. Street placement has the potential to foster business activity, encourage car travel alongside bikers and pedestrians and can greatly influence the connection between residents and their communities. However, each year nearly 40,000 people are killed in traffic crashes in the United States, and that number continues to rise annually. This staggering statistic has led cities across the nation to examine ways to make streets safer for everyone traveling. 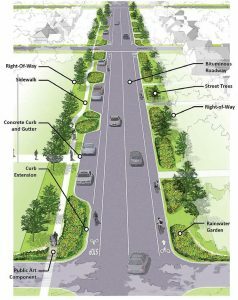 One popular solution, according to NACTO Strategy Director Kate Fillin-Yeh, is to narrow street widths. Minnesota Department of Safety State Traffic Safety Engineer Brad Estochen has seen the positive impact of narrower streets firsthand and says there is a misconception by the general public that bigger is always better. 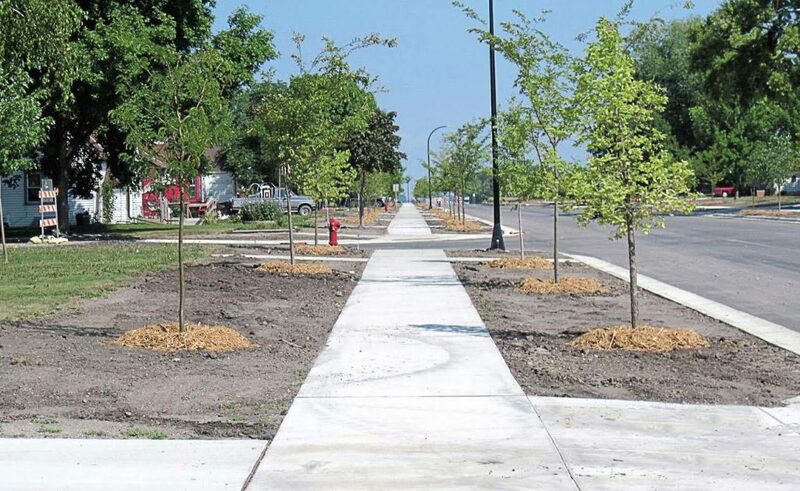 Estochen said Minnesota has explored narrowing street widths and the results have been positive. While narrower streets sound like a positive solution all around, not everyone is convinced that this is the safest approach. One of the public worries of narrower lanes is how EMT vehicles will maneuver the streets. A traffic safety engineer by day, Estochen serves as a firefighter and EMT in his spare time. Having firsthand experience with both sides of the equation, he’s able to offer unique insight. Estochen said there are a number of measures EMTs are trained to take to accommodate for narrower roads, including securing a safe workspace by positioning vehicles a certain way to create a barrier, setting up flagging operations and guiding traffic. In terms of planning, Fillen-Yeh said NACTO works with cities to provide technical advice and guidance, but most cities have a great working relationship with emergency technicians and take their needs into account when designing streets. A number of solutions, including smaller emergency vehicles, are being explored by emergency responders across the nation, but the bottom line, according to Estochen, is that drivers need to be aware and courteous.